With multiple practices located in one Multiplex Medical Center, this project served as an innovative paradigm shift from a traditional model to a more collaborative one—centralizing shared space where doctors, staff, and patients could increase effective quality care and service. 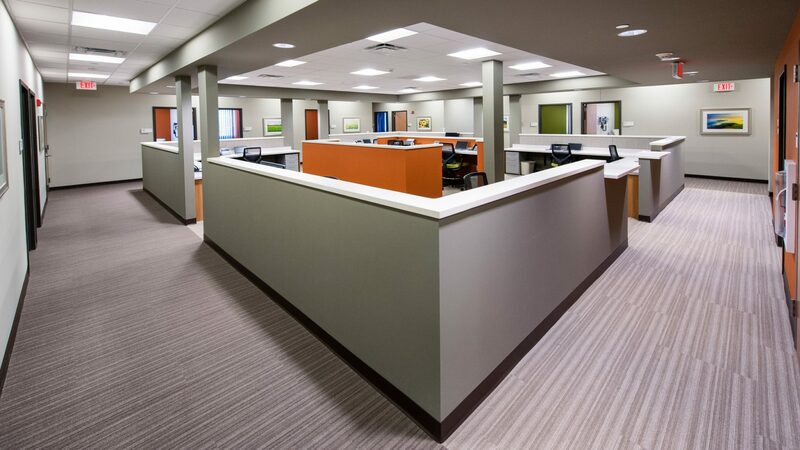 Central supplies and staff support functions were centralized to economize on duplication of certain spaces and to encourage, where possible, collaboration across the practices. In addition, innovations for both check in and check out using state-of-the-art technology was integrated into the design—a total of 41 exam rooms plus X-Ray Nuclear Medicine suite and two triage rooms. Virtua Medford Medical Center created a new vision for primary health and wellness in line with their mission to provide world-class quality healthcare.